After four and half decades of shaping India’s hospitality industry and a presence that covers the length and breadth of the country, the luxury hotel brand ITC has now launched the ITC Grand in South Goa. ITC as a brand has always taken pride in delivering rich culinary experiences while preserving the integrity of our culinary heritage and reviving age old, traditional recipes. 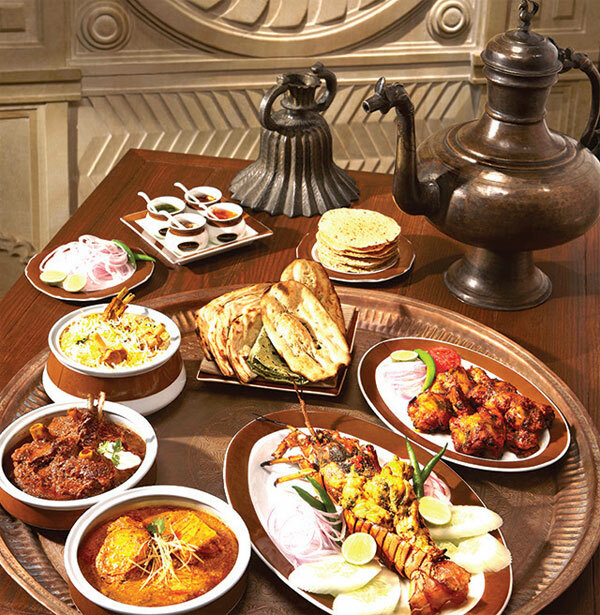 The resort has four in-house restaurants for dining, one of them being the famous Kebabs and Kurries. ITC’s Custodian for their Kebabs and Kurries outlets across India, Chef Sunil Gadihoke, has now taken the helm at the Goa resort and promises to deliver wholesome experiences with as authentic as possible methods of cooking. Despite working with the brand for over 25 years now, Chef Sunil, who was also the Executive Chef at the ITC Grand Central in Mumbai, has only just visited Goa for the first time and as he settles and learns more about the local cuisine, he surely has big plans for the future. For now though, the focus is on Kebabs and Kurries and one thing people will immediately notice on their menu is how some of the dishes have the logos of ITC’s iconic and award-winning restaurant brands, ‘Dum Pukht’ and ‘Bhukara’. Kebabs and Kurries by itself is its own brand and has a wide range of food from different kinds of cuisines inspired by different kinds of cooking methods. However, since this is ITC’s first luxury Indian restaurant in Goa, the brand has included a few dishes on the menu that are all time favourites at other restaurants in their hotels and resorts across India, simply to give the people of Goa a preview of what the brand has to offer. The menu at Kebabs and Curries is vast and features four main ingredients: vegetables, chicken, lamb and seafood. These four ingredients are available in various forms through various cooking styles. These include the Tawa which would be shallow frying kebabs on an iron or stone griddle; the Angethi method which is the traditional cooking of meat/vegetables on high heat which chars the surface and seals in the juices leaving a nice smoky taste and of course the favourite Tandoor method. They also do four styles of curries, like the Qaliya which is when the meat is sautéed in Ghee and a bit of water and then cooked in spices, the Qorma method in which the meat is cooked in a browned onion paste and yoghurt and there is a lot of emphasis on roasting, the Dopiaza which is prepared with a large amount of onions and finally the Salan which basically has no set rules and are curries that don’t fall in the above categories. I first tried out a couple of kebabs they had on offer, starting with some veg options. I loved the labgeer which was a patty of fresh beetroot stuffed with cheese, green chillies, mint, cashew and cardamom and the Saboot tandoori aloo which was really unique and different as they were jacket potatoes baked in the tandoor and then rumpled with raisins, almond flakes, green chillies, lemon juice, coriander and a spice mix. It had that typical Khatta Meetha taste along with some texture from the almonds and the potatoes. For the non-veg options I tried the Murgh Shammi and the Gilawat ke Kebab, which were both minced patties of chicken and lamb respectively. The chicken kebab was stuffed with raw mango and spices, while the lamb kebab that was grilled with clarified butter had a very distinct clove-cardamom flavour that stood out. Both melt in mouth and are packed with flavour. I also tried a beautiful Macchli tikka that was cooked to perfection and is definitely something that would appeal to the local taste buds. Moving on to the mains, I decided to stick only to the the meat options as the kebabs themselves were so filling that I was already struggling to keep up! So for mains I tried the Jingha Hara Masala, the Murgh Bemisal and the Dum Pukht Koh-e-Awadh along with Dal Dam Pukht served with an assortment of naan and parathas. The Murgh Bemisal featured smoked chicken tikka in a thick gravy of tomatoes and browned onion with fenugreek and dill and definitely had a taste alike to that of butter chicken, except much more velvety and richer. The whole idea of Dum Phukt is roasting and maturing through slow cooking in a clay vessel, which is how the dal and the lamb was made but I must go out of my way to speak about the lamb. The Dum Pukht Koh-e-Awadh was such a simple yet a very strongly flavoured dish that featured lamb shanks dum cooked in their own cardamom tinged juices and marrow. One of the most succulent and melt in mouth lamb dishes I’ve ever had in Goa. The lamb was slow cooked to absolute perfection and could be slid off the bone using only your hands. I also managed to accommodate a super fragrant and super delicious mutton biryani with a lovely Burrhani raita. Somehow, I managed to save some space for dessert and in the end it was extremely worth it. The Shaan-e-Aam was a delicious dessert that featured Alphonso mango with fresh cream topped with pistachios and almond; so simple yet so Indian and full of flavour. I ended my meal with a K&K Kulfi that was a fresh kulfi topped with pistachios and falooda strings. The falooda strings were rather interesting and a creative way of just chilling falooda and then turning them into noodles to the top the dessert with instead of just pouring a syrup over it. It was also the perfect note to end and an example of how ITC and its new resort in Goa is doing fabulous job of keep traditional Indian food alive while presenting it in a modern form.